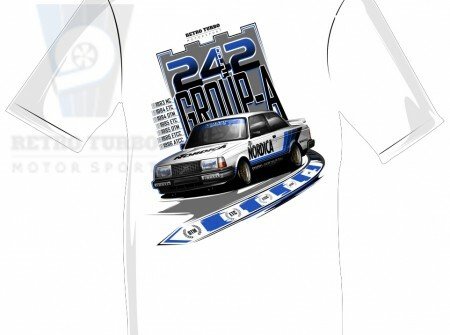 Retro Turbo: Volvo Motorsport UK | 242 Turbo T-Shirt, ‘M’ size. 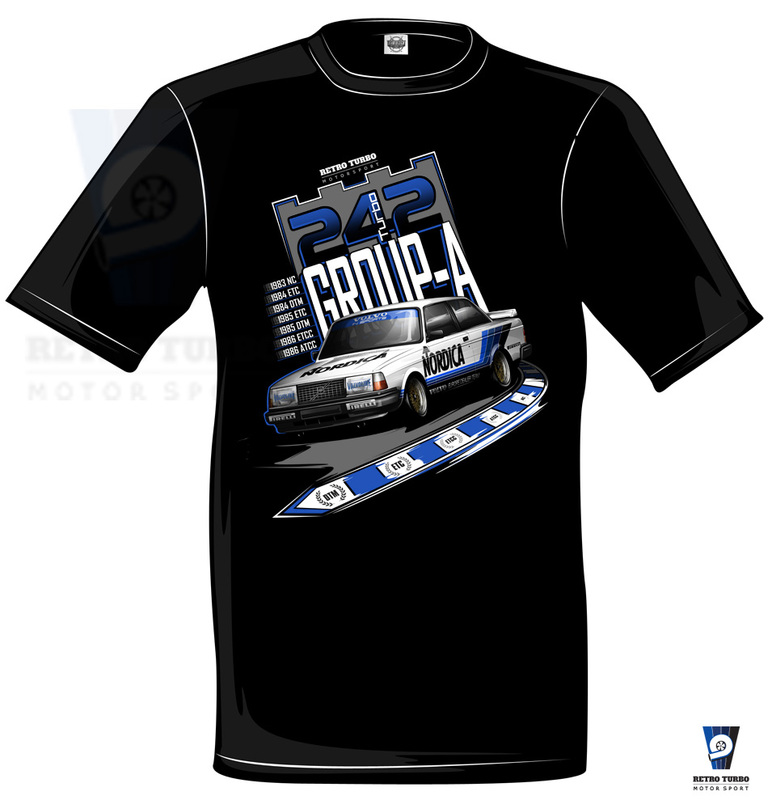 242 Turbo T-Shirt, ‘M’ size. 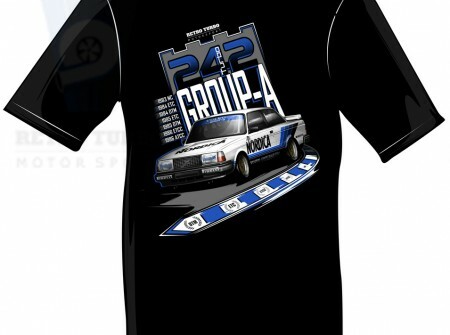 T-Shirt showing a Group-A 242 Volvo. Printed using a state of the art CMYK DTG printer on a 195gms 100% preshrunk cotton! Price does not include postage, this will be invoiced one working day before dispatch. For current postage prices click here. SKU: M. Category: Custom Made Parts, Merchandise, Merchandise, Volvo 240 Series Parts. 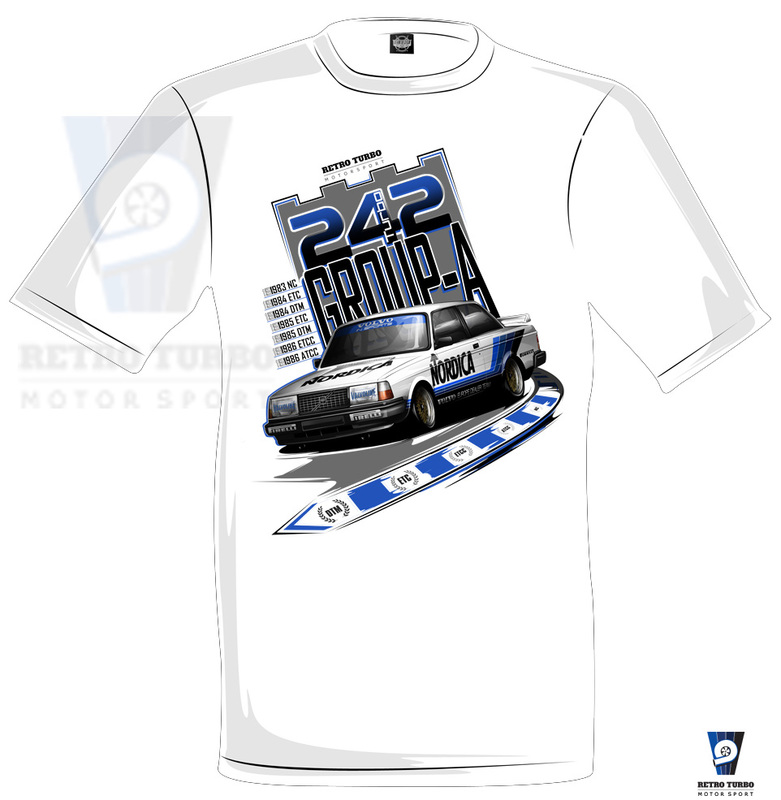 1 review for 242 Turbo T-Shirt, ‘M’ size.